Five Favourites from Stila: The Brand That Deserves More Hype! There are some brands that get so much hype in the beauty world that the products just sell themselves and then there are others that really deserve a lot more hype than they get. I don't know if this is down to fewer PR mailings (and in turn, less hype from big beauty 'influencers') but there are some brands that I feel deserve more hype so I am going to spread the love! I also really want to hear from you about what brands you feel are under-rated! I'm starting today with Stila. Don't get me wrong, I'm not saying that people don't rave about this brand but I see a lot more hype out there for other brands and I think that Stila is up there with Charlotte Tilbury, Hourglass, Too Faced and other hyped brands in terms of the quality of the products. I'm going to share my top five products from the brand with you and would love to hear if you have tried them or if there are other products from the brand that you think I should try? Eyes Are The Window Shadow Palette Soul: Often overlooked for some reason, these eyeshadow palettes from Stila are truly beautiful and really versatile. I have Soul but there are three other in the 'Eyes Are The Window' range. They all contain 12 shadows and I particularly love the warm, metallic tones in this one. Housed in a rose gold case with a large mirror, are shadows in a mixture of finishes. All have the same finely milled, easy to use texture; they are pigmented and all are long-wearing on the lids. At £30, these palettes are a bargain when compared with Urban Decay, Charlotte Tilbury etc as the quality is the same, if not better. Stay All Day Waterproof Liquid Liner: I have often bemoaned the fact that I have the delightful combination of oily lids (despite Sahara-like skin!) and watery eyes, so finding a liquid liner that doesn't smudge, transfer or disappear is not an easy task! I've repurchased this liner several times since I first tried it (and tried a lot of others too!) because it ticks the boxes for me: opaque, very black, waterproof and easy to remove. What's not to love? Magnificent Metals Glitter & Glow Liquid Eyeshadow: These are the products that have brought a lot of hype to Stila in the last year and with good reason. They are smooth in texture, pigmented, long-lasting, easy to apply and there is no fall down with them so there is no chance of irritated eyes. I think that anybody with 'mature' lids tends to stay away from glitter as it can be very unforgiving, but these are definitely the exception to that rule! I need more in my life! One Step Correct Primer: Another product that I have repurchased several times! This primer hydrates the skin whilst the green tone reduces redness, the peach tone illuminates the skin and the lavender tone counteracts darkness in the skin. I find that this lifts my complexion and plumps my skin - it creates the ideal canvas for any foundation. Convertible Colour: Finally, I love these products, which are designed for wear on both the lips and cheeks. The creamy texture melts and blends into the cheeks effortlessly to create a natural flush of colour without disturbing the base underneath. This is ideal on my dry skin but would also work on normal - combination skin. So those are my five favourites from Stila. I would love to hear if you have tried much from the brand and what your thoughts are? 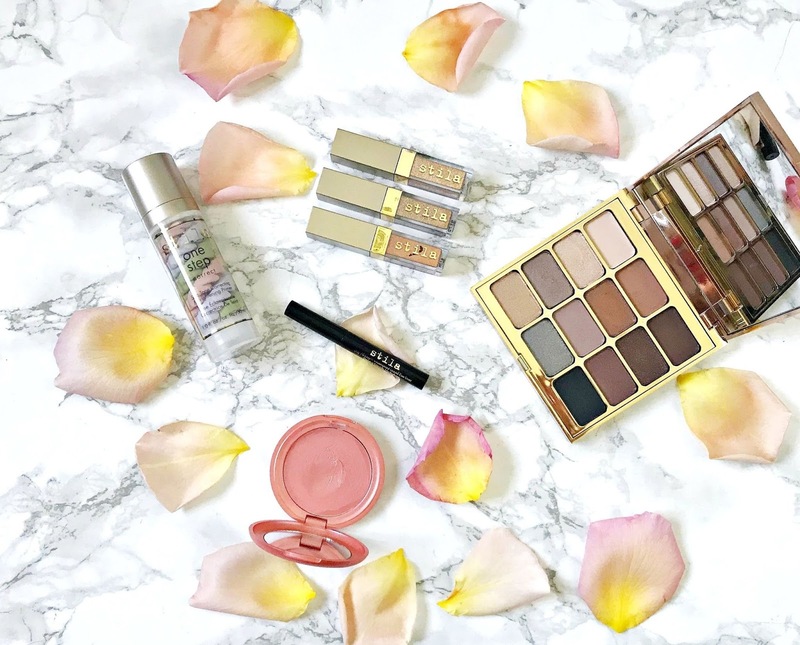 Shop Stila on Cult Beauty, Look Fantastic, Beauty Bay and ASOS.